Our roundup of happenings around town. Rosebary's Baby darkens Film Forum tonight. PREGNANCY IS HELL: It birthed a hairstyle (Mia Farrow's close-cropped angel bob), conferred terminally creepy status on an apartment building (the Dakota) and scared the pants off of pretty much everybody. 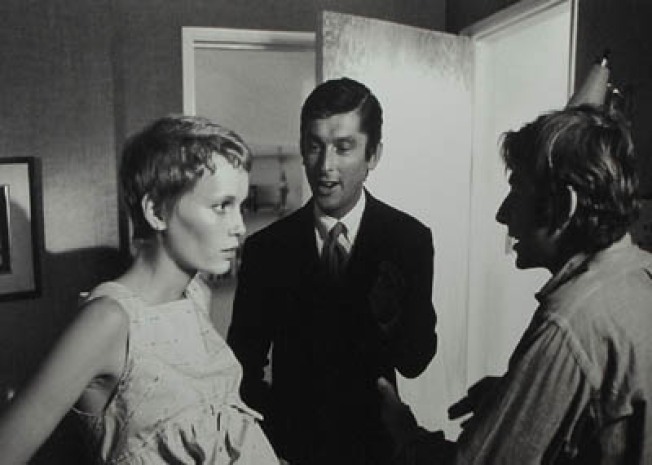 Catch Roman Polanski's 1968 adaptation of Ira Levin's bestselling horror novel Rosemary's Baby at Film Forum tonight. BEEHIVE BASH: It's the big, big B-52's "Live It Up On The Day Of The Dead" show with guests Special Disco Version and Hercules and Love Affair. Hurry up - and bring your jukebox money (seriously - well drinks at Hammerstein Ballroom are like $12 now). CHRIST, IS THE ELECTION OVER YET? Ilan Ziv's buzz-generating docu-look at how religion influences U.S. politics premieres later this year - but you can catch a sneak pre-election preview of JESUS POLITICS: The Bible & The Ballot tonight at the Cantor Film Center. Ziv will be on hand for a Q&A.